Apologies for the late posting on this exhibition but I only received the images for the posting today. 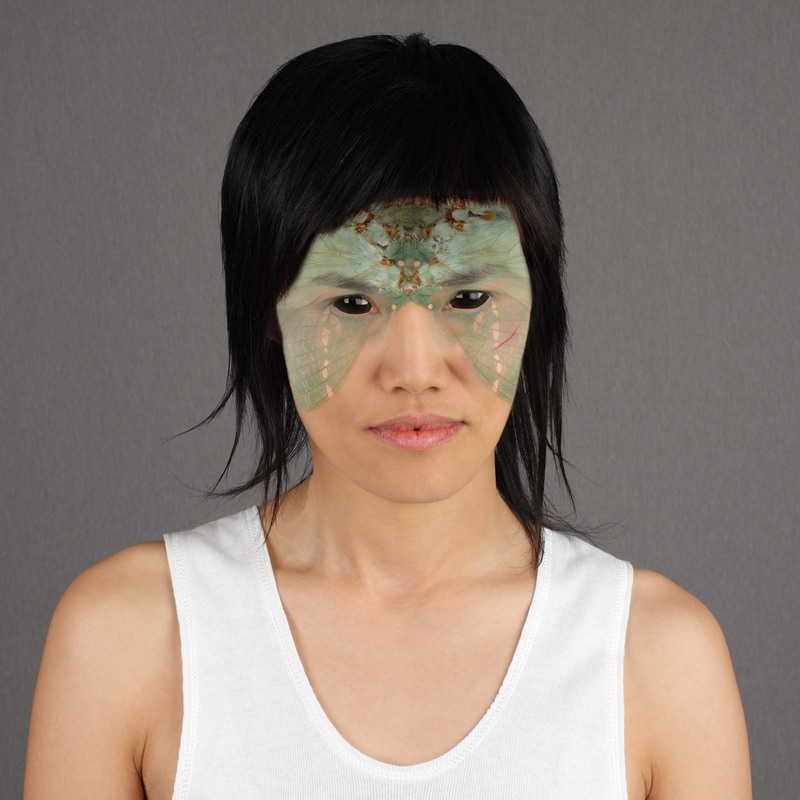 A strong body of work by Owen Leong, twelve portraits of Asian-Australians, their faces digitally overlaid with the unique wing patterns of the Bogong moth, an insect often seen as a pest in Australia. Uniformly lit, of consistent size and presented in modern white frames the series hangs quietly but impressively in the upstairs space of the Anna Pappas Gallery. 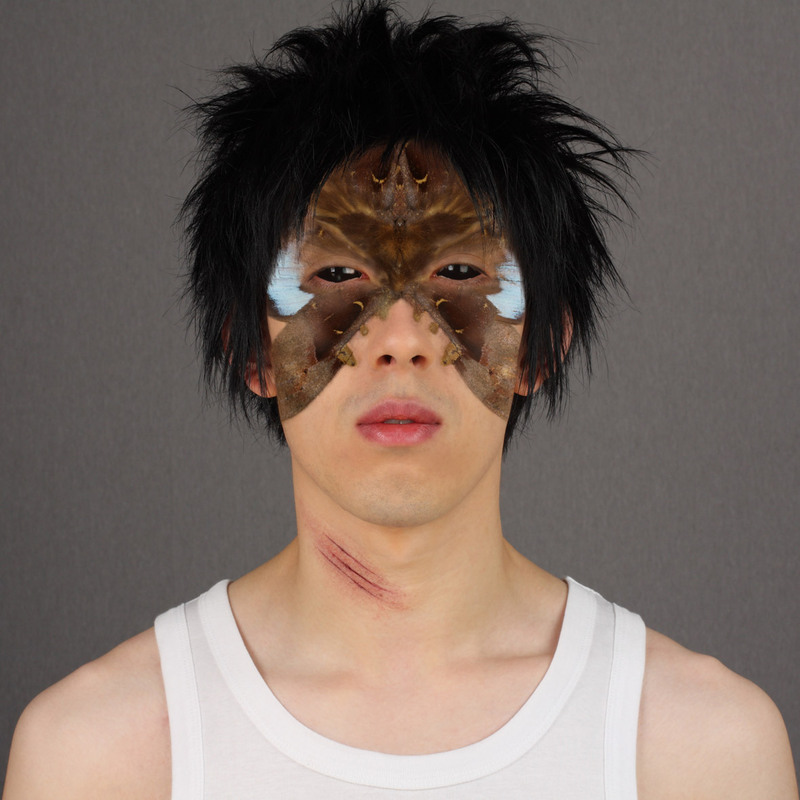 Here the uniqueness of human physiognomy (and attendant modifications such as scars, piercings and tattoos) is symbiotically paired with that of the moth – it is almost as though one breathes the other – with the eyes of the humans occluded, becoming blackened pits. The slightly amateurish digital blacking out of some of the eyes is my only point of contention: perhaps this was intentional (?) 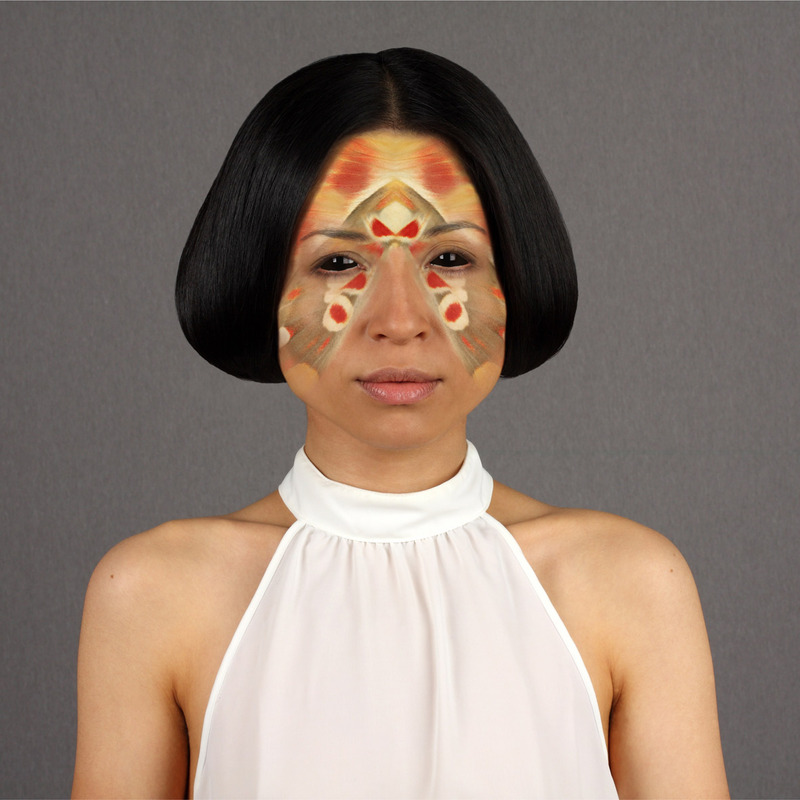 but sharp shape selections in Photoshop do not make for a good blend between layers of information. 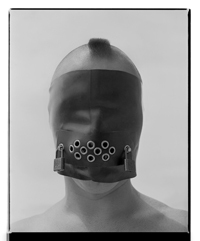 Be that as it may, Leong’s practice of selective breeding applied to humans has produced some beautiful, eloquent photographs that promote difference and diversity through a palpable intimacy with the subject matter. Many thankx to Anna Pappas, Leah Crossman and the Anna Pappas Gallery for allowing me to use the photographs in the posting. Please click on the photographs for a larger version of the image.